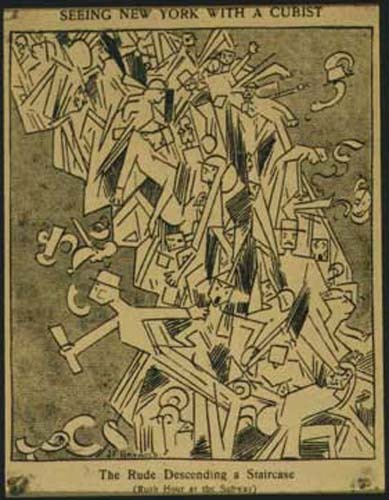 Kenney Mencher: The Ashcan School and "The Eight"
The so-called “Ashcan School” is probably best understood in terms of the context of this school of art. First of all, it’s not really a school of art but a self-named group of artists who like the Impressionists took their name from an insult leveled at them by a critic. They were named the “Ashcan School” because one critic felt that the colors and the things that they painted were things out of literally in the trashcan. 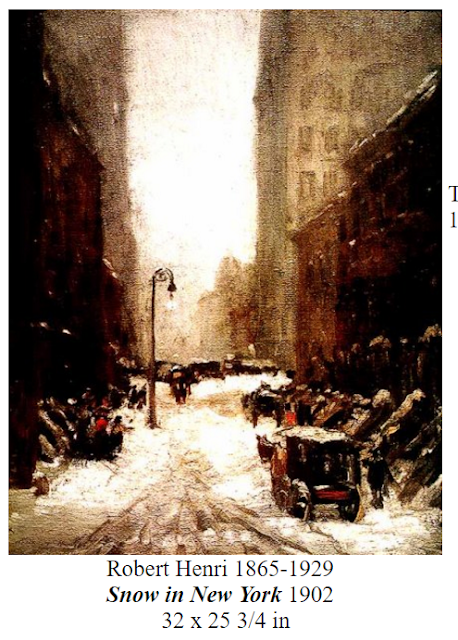 At this point in 19th and early 20th century America and ashcan was a type of trashcan that was used to contain the leavings or ashes out of a coal furnace. 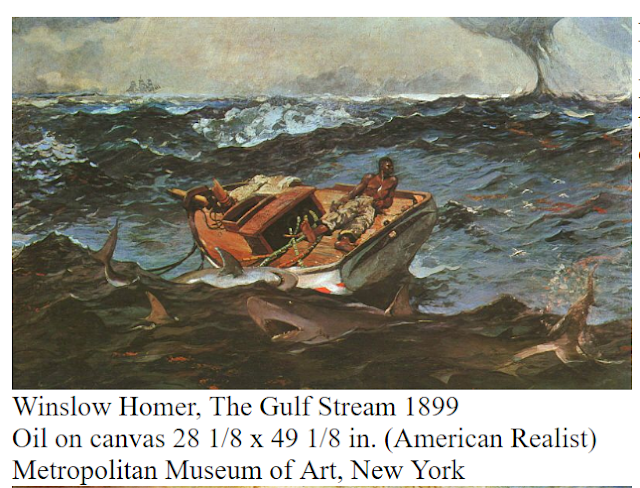 However, this group of artists is probably America’s second grouping of internationally known artists since the Hudson River school almost 40 or 50 years before. He studied in Pennsylvania at the Academy of fine arts under the painter Thomas Eakins and began to run with a crowd of painters who he drank with and partied with. 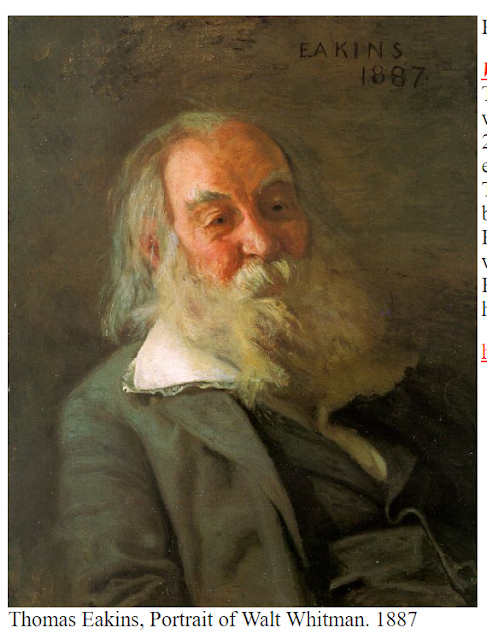 He gathered around him a group of like-minded students, and later on moved to New York City where he became a teacher at the Art Students League. 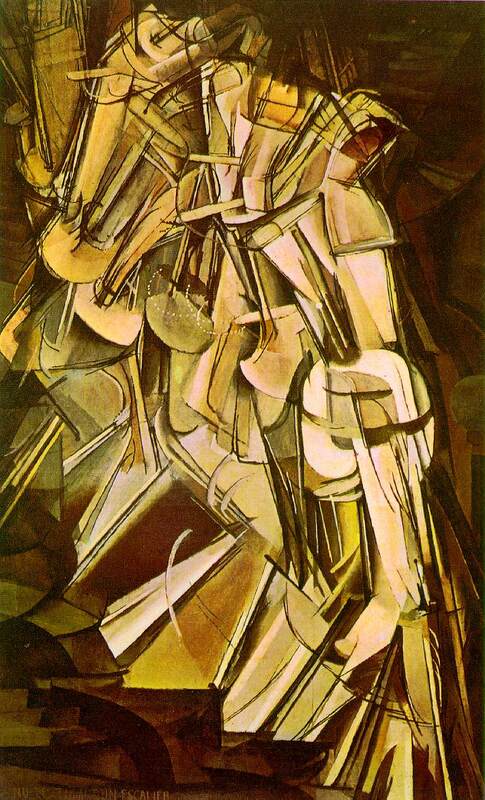 If you’re familiar with the Abstract Expressionists of the 1950s you’ll note that that is a very familiar kind of story because Jackson Pollock also hung out and partied with the other painters who began to paint in the abstract expressionist style and Pollock even studied under Thomas Hart Benton at the art students league. 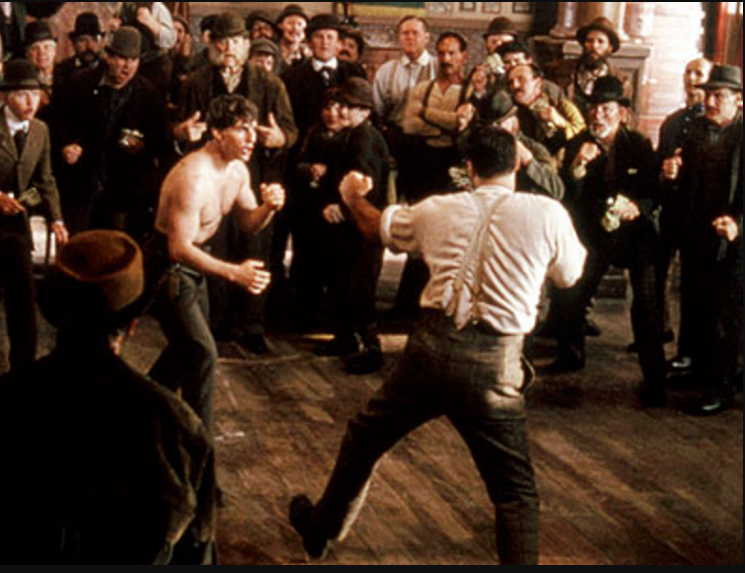 There is a definite pattern, at least in 19th century and 20th century America in which you have a kind of rough-and-tumble bad boy artist scene who seem as if they were rebellious and hard drinking. 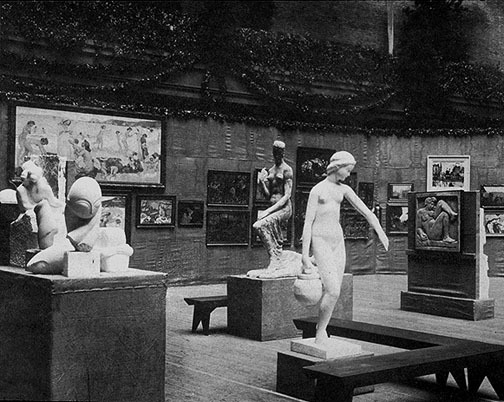 What really made the careers of this grouping of artists can be traced back to initial patronage and in the case of the ashcan school artists, can be traced to a really important show in 1913 called the Armory show. 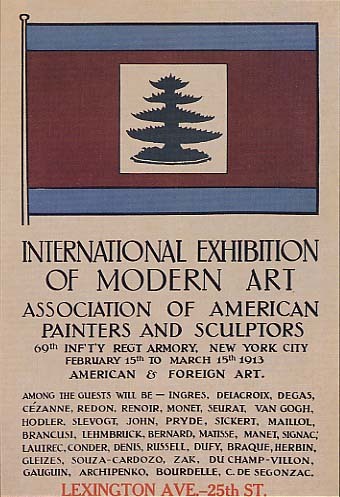 The Armory show brought many European artists, some of the more famous Impressionists as well as the modernists such as Constantin Brancusi and Marcel Duchamp into a large controversial exhibit given in the wide open spaces of a converted Armory. And Armory is a type of warehouse. Probably, because of all the groundbreaking things that were going on in 1913 and specifically at the Armory show in New York many artists began to establish a reputation in the United States. As in the case of the Impressionists, New Yorkers who attended the show were initially offended, shocked, and made fun of much of the work in the show and so the artists gained notoriety. The cliché, “even bad press is good press,” seems to bear out for many artists who have gotten very negative reviews and a lot of negative public attention. It actually seems to grow the artists’ audiences when they are picked on by the media. 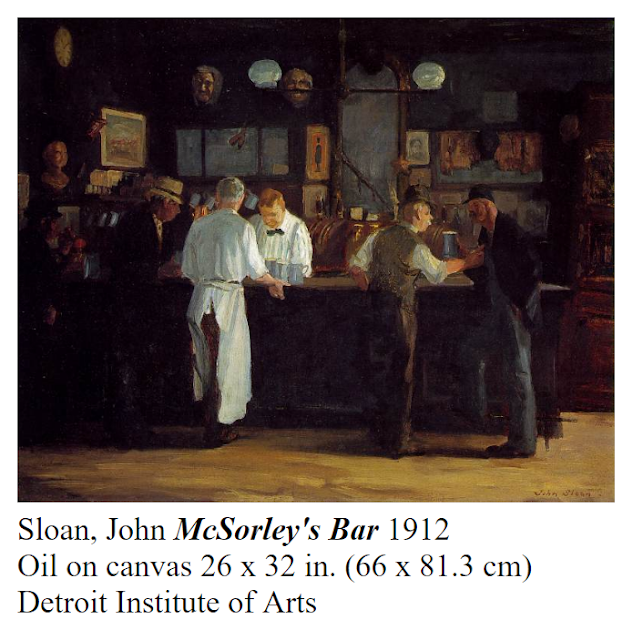 Many of the physical or formal properties of the ashcan school of painters also sometimes referred to as “The Eight,” can probably be traced back to two factors. 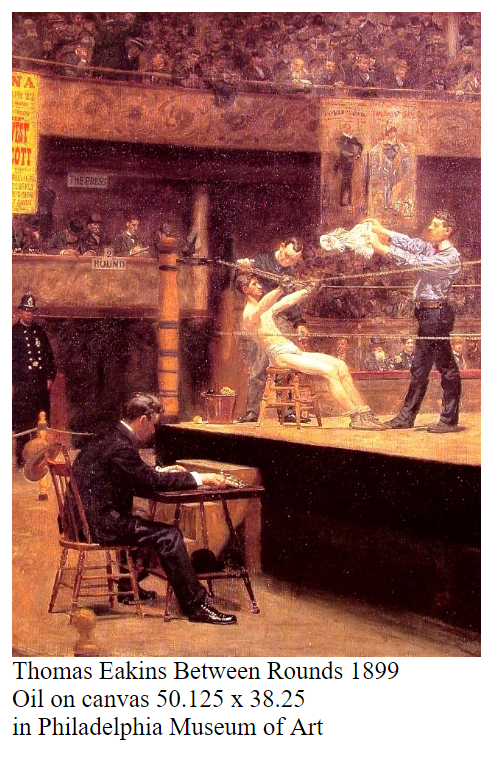 The first factor is that many of the artists from this group studied under Thomas Eakins who was very focused on tonal issues and shading in his work. Eakins palette tends to be very earth toned or brown and often focuses very much on shading over any kind of color. There are exceptions to this rule in the ashcan school. Another factor, may be Eakins attention to old Masters such as Rembrandt who painted in a very brushy thick manner often referred to as bravura painting and thick paint is often referred to as impostos. Although Eakins instructed his students rigorously in life drawing and accurate drawing which Eakins have studied in Europe many of the painters began to paint in a more gestural way that was closer to what the Impressionists did. 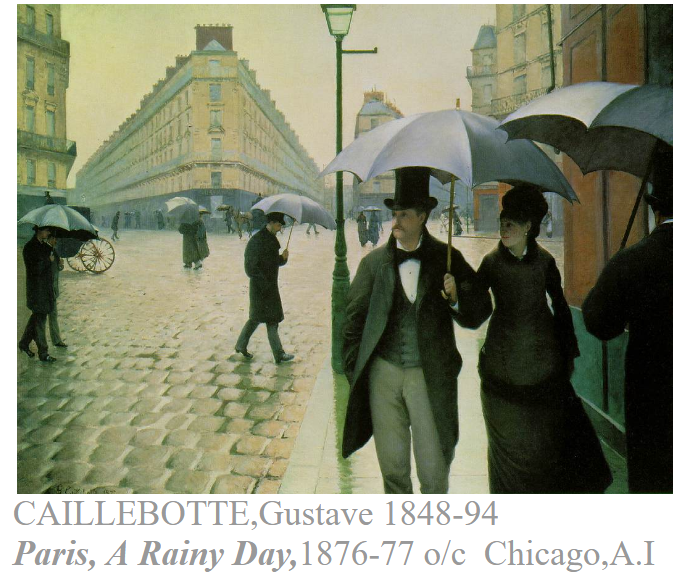 It’s also possible that Impressionism had an impact on how the American painting began to develop. 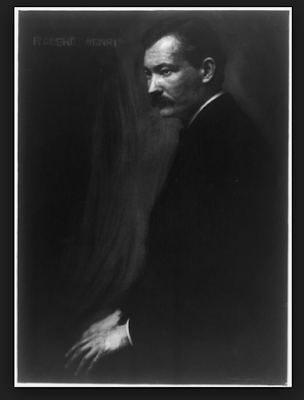 Robert Henri had seen the Impressionist painters when he was in Europe in the 1880s and Henri was also a distant relation to Mary Cassatt. The main physical qualities of the Ashcan School seem to be, think brushy paint, gestural anatomy, and almost careless rendering of environments such as streets and buildings that are very impressionistic in terms of the brushwork but not in terms of the color. Here’s a specific analysis of several of the paintings in terms of their content combined with the comparison against some of the American painters’ European equivalents. John Sloan’s painting “Hairdressers Window,” painted in 1907 depicts a kind of boisterous, happy, activity genre scene of New Yorkers in the streets looking up at the spectacle of a woman getting her hair cut in a second story shop window. The scene in Sloan’s painting is very busy and contains signs and advertisements that might be considered equivalent to today’s billboards and other visual pollution in cities. 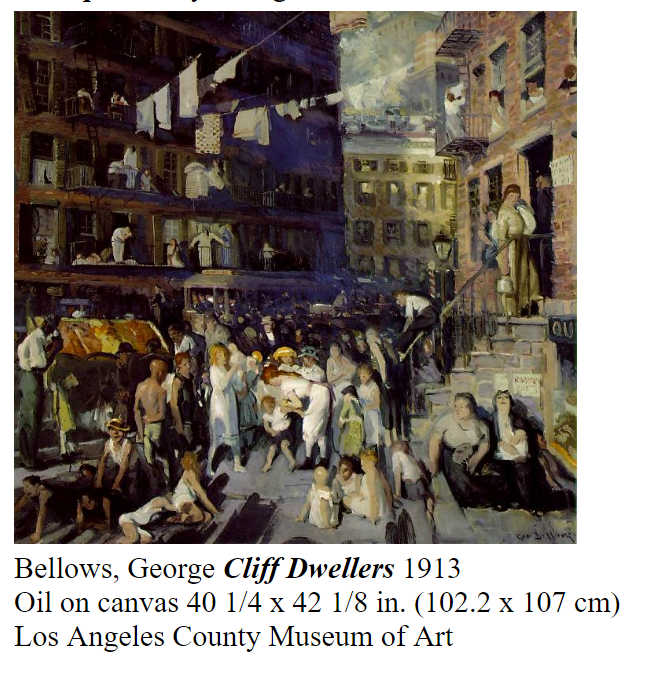 People are clearly being voyeurs looking up, laughing and commenting on the scene above them and the signs around them indicate a kind of commercialism and even a type of melting pot attitude because of the Chop Suey sign in the middle of the painting on the left. In almost direct opposition to the handling of a urban genre scene is Gustave Callebotte’s scene of Paris on a rainy day. Here, the Parisians are detached from one another, calm, and almost restrained in their people watching. 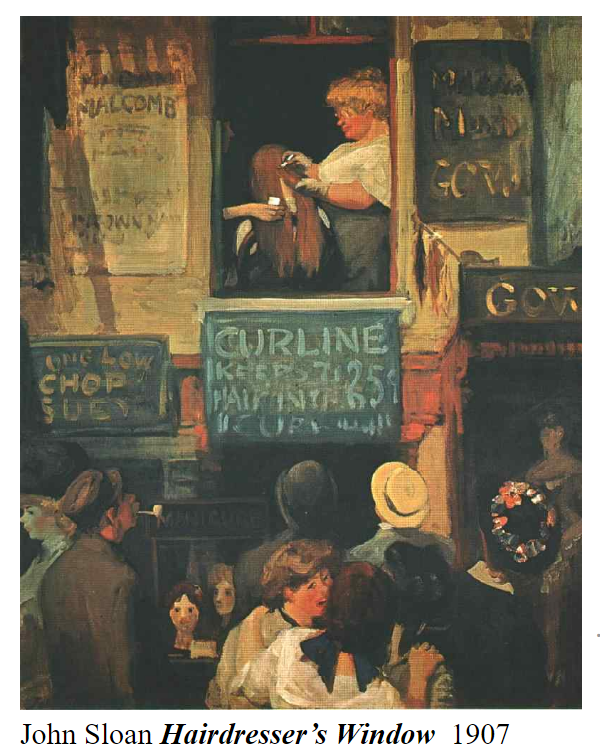 The two paintings give us a sense of how Parisians saw themselves and their city as opposed to Americans and this is part of a basic thesis or belief that the Ashcan School was communicating in their work. 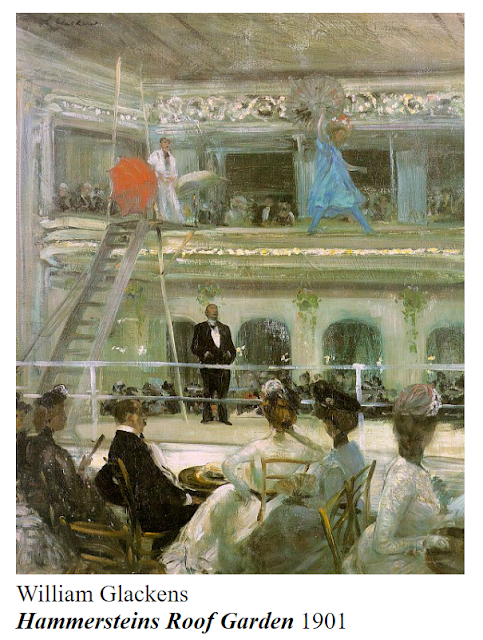 Another good comparison would be William Glackens painting of an afternoon’s entertainment versus Mary Cassatt’s evening at the Opera. In New York at the turn-of-the-century an afternoon’s entertainment might consist of going to a type of indoor circus in which food and drink would be served and circus performers would walk on tight ropes and perform other types of acrobatic entertainment. This was actually seen as a kind of “classy” kind of entertainment for New Yorkers at this time. In fact, New Yorkers love to go out for fake Chinese dishes at so-called chop Suey parlors across the city. New Yorkers taste in entertainment and food might be considered by some to be less sophisticated. Although Glackens' scene directly addresses voyeuristic and audience based entertainment Mary Cassatt shows us a different kind of audience who are seated in semiprivate balconies and are expected to behave. 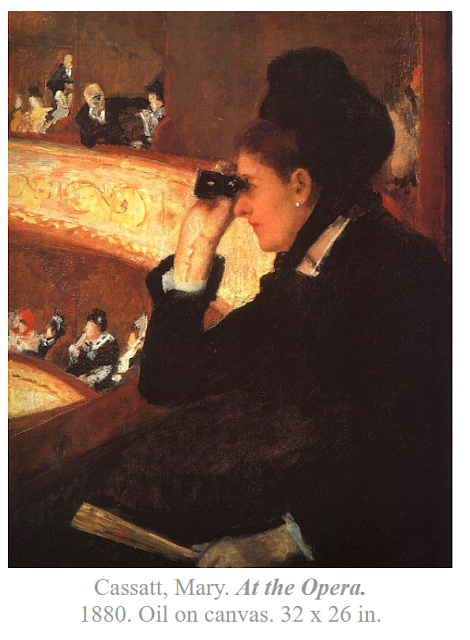 In Glackens’ painting everyone seems to be looking directly at the entertainment on the stage while in Cassatt’s painting there is a man leaning over his balcony in his private who is using his Opera glasses to stare at the woman in the foreground who is actually watching the Opera. 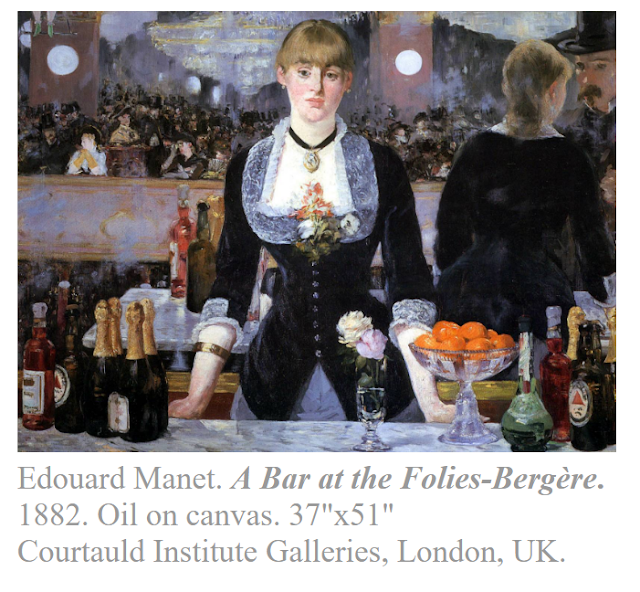 A similar kind of comparison in which a bored almost disdainful Parisian barmaid gazes at us, while the spectacle of entertainment and even trapeze artists go on in the mirror behind her is evident when you look at John Sloan’s painting of the bar scene. We can see that the Parisians are decidedly less warm than the Americans are at least at a bar. 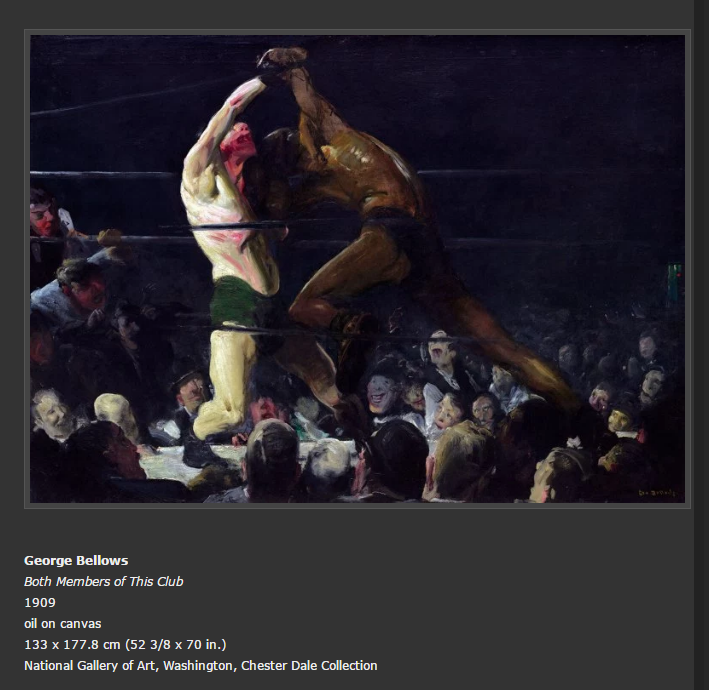 Illustrators an artist you came just before the 20th century such as Winslow Homer almost literally illustrate actions stories in their paintings so it’s no surprise that George Bellows chooses to paint the superheroes of the day. In many of the novels and films I mentioned above there are often boxing scenes in which a hero might prove his mettle. 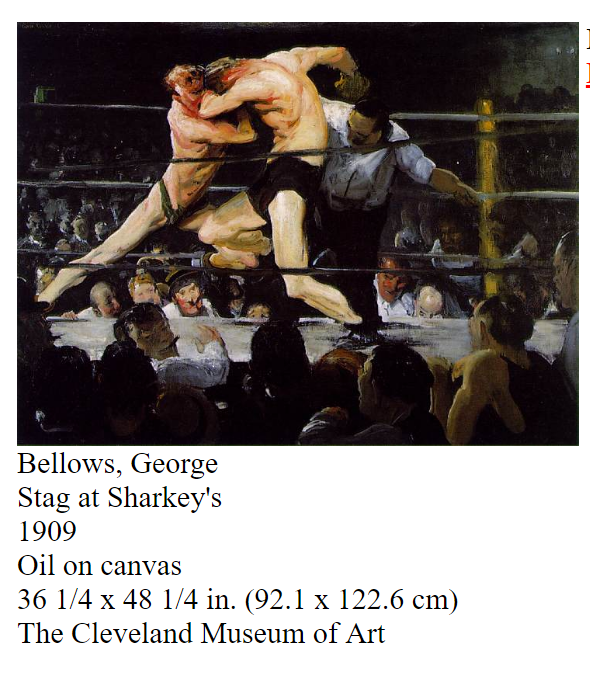 “Stag at Sharkey’s,” is a scene just like those in which to massive boxers, who are painted just early with very thick fleshy paint are going at it. Another painting, “Both Members of This Club,” is a very similar theme and Bellows and other artists make it a point to show how tough American boxers are. 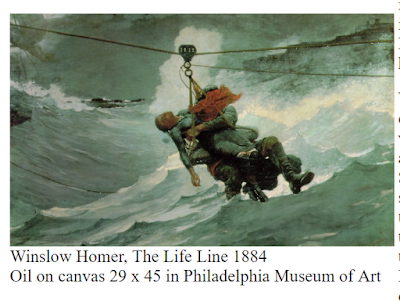 Probably, he got his “permission” to paint such scenes from the American old master Thomas Eakins.